Colour, flavour and texture create a unique orchard experience in this elegant gift! Luxuriously abundant in local and exotic mouthwatering fruits! 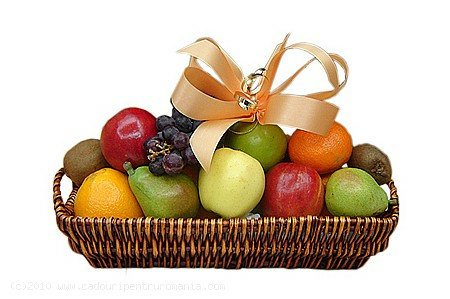 Send this corporate gift to someone with a fruity appetite and great taste! Send Gifts To Romania covers all your gift and flower delivery needs at the highest standards.